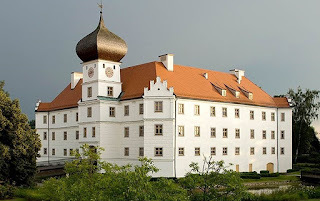 Restoration work on the Schloss Hohenkammer castle in Freising, Germany, and construction of the new reception and guest house were completed nearly a decade ago, where the complex’s proprietor, Munich Re’s commitment to quality set the standard. The authentic character of the restoration work and the ideal combination of the new structure’s materials (natural stone, wood, and plaster) create a harmonious architectural ensemble. Following its restoration, Schloss Hohenkammer has become a world-class seminar center.